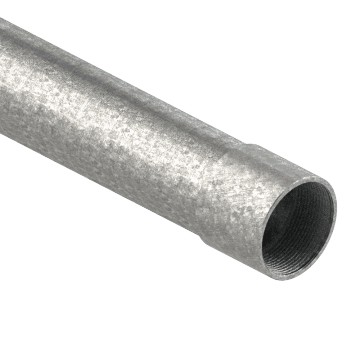 Thicker and heavier than electrical metal tubing (EMT) or intermediate metal conduit (IMC), rigid metal conduit (RMC) protects wire and cable runs from physical damage and impact. 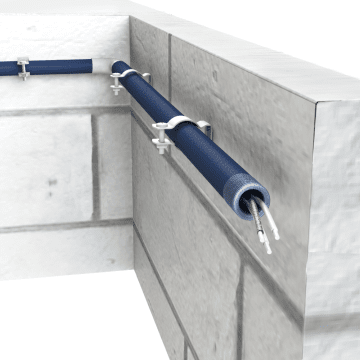 Also known as thick-wall conduit, it is suitable for indoor, outdoor, wet, or dry conditions. RMC can be buried underground or embedded in concrete, and it can also serve as an equipment grounding conductor. Heavier and thicker than aluminum rigid conduit (ARC), this galvanized rigid steel conduit (GRC) is made of corrosion-resistant galvanized steel. 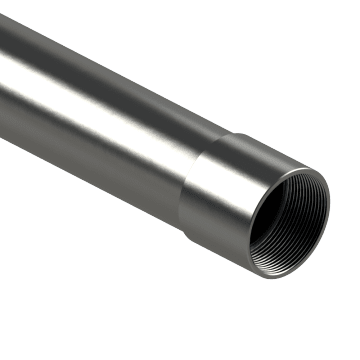 Use the integrated coupling on this galvanized rigid steel conduit (GRC) to join lengths of conduit together without the hassle of purchasing the couplings and conduit separately. Ideal for installing long continuous runs of electrical conduit. 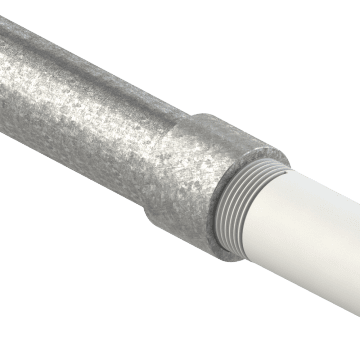 Corrosion-resistant aluminum rigid conduit (ARC) is lighter than galvanized steel rigid conduit (GRC) and is ideal for protecting wire and cable runs in clean or harsh environments, such as processing plants and paper mills.